The DMS is suitable for long term monitoring of persistent organic pollutants like dioxins and it is the best suitable device to EN 1948-1 worldwide. In 2004 and 2005 the device was improved to version G20, which was tested and certified by British Environment Agency MCERTs and by US-EPA. The DioxinMonitoringSystem® is a stationary isokinetic sampler developed for continuous monitoring of dioxin emissions, fulfilling all the requirements of the dioxin measurement standard set EN 1948. With the optional ParTrace® emission cartridges fine dust (i. e. PM 2.5 following ISO/FDIS 23210:2009) and persistent organic compounds (POPs) can be sampled at the same time. This device opens the opportunity to measure representative mean values. The design is made for long-term sampling up to 6 weeks, but enabling short-term sampling as well. The design and the use of the dilution method further offers versatile applications by sampling at moderate temperature, as needed for PCBs, metals, HCB and fine dust. The control unit does all the control adjustments during the sampling process and serves as the user interface. It is placed close to the stack, usually in an instrument room. This part is exchanged periodically and processed by the laboratory and then prepared for the next measurement. The results are provided with a laboratory report. The construction enables easy exchange within the shortest timeframes and a quick device restart. Each stack is equipped with one sampling unit and one control unit. 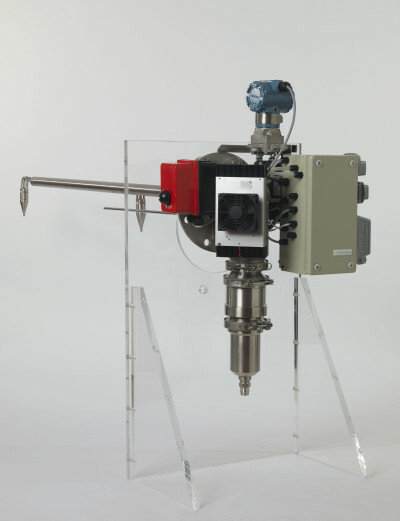 This offers independent measurements of all emission sources of a plant at the same time. For permanent sampling two filter cartridges are needed for each device, where one of them is in operation and the other one is in processing at the laboratory. Mcerts and ETV certified. In Europe the device was tested in the laboratory and at field conditions based on “Mcerts” performance standards for continuous isokinetic samplers for dioxins”. In the US the performance was evaluated in terms of relative accuracy, range, data completeness and operational factors. RA and range were determined by comparing DioxinMonitoringSystem results to those from method 23 reference samples collected simultaneously. Check measurements e. g. 6 to 8 hours according to standards. Long term isokinetic sampling Enables the inventory and the classification of atmospheric emissions. Supports UNEP toolkit. 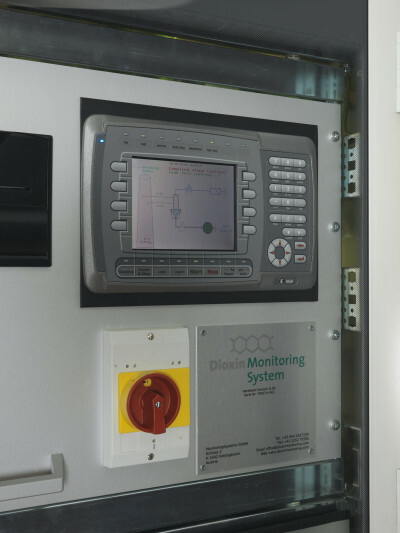 The first DioxinMonitoringSystem® was put in operation in 1993. Industrial design Ensuring low maintenance requirements and low operation costs. Construction free from glass parts (except the front door using security glass). Isokinetic Sampling Cartridges – Impactor and PUF. These modified cartridges use impactors for the fractioning of the dust. The user can select between 2 types of ParTrace® cartridges, the compact version enabling one cutpoint and the full version enabeling up to 3 cutpoints. This opens the opportunity to gain information about the complete environmental impact portion from the side of the emitter. The results can be easily correlated to respective ambient air measurements. Guideline 2008/50/EG This Guideline defines air quality targets, e. g. 18 μg/mD in ambient air for PM 2.5. POPs have been determined to be the most significant part of emissions to the environment which cause adverse health effects. These include, dioxins (PCCD/F), polychlorinated biphenyls (PCBs), polyaromatic hydrocarbons (PAHs), Hexachlorobenzene (HCB) and others. These compounds have a high stability, low volatility, and are degraded very slowly. Due to their lipophilic character, an accumulation in the human body takes place. Fine dust is the portion of solids in gases being the focus of concern for pulmonary health effects. 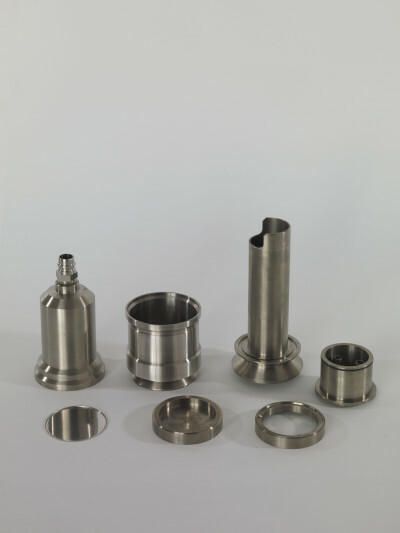 ParTrace® emissions cartridges splits the fine dusts per fraction sizes within one sampling run allowing highly accurate TSP, PM10, PM2.5, PM1 emissions monitoring. 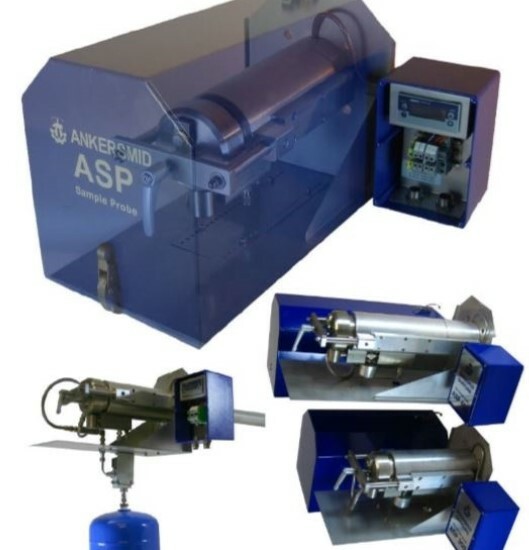 AquaGas introduces the DMS stationary Isokinetic samplers designed for long term sampling of a large numbers of components in industrial emissions such as PCBs, metals, HCB and fine dust (PM10, PM2.5).